We’re super-thrilled to have released Simon Lynge‘s fourth album Deep Snow on 23rd November 2018, in conjunction with our friends at Songcrafter Music (Nordics) & Atlantic Music (Greenland). Produced by long-term friend & musical collaborator Richard Lobb, the album features recent singles Age of Distraction and Paper Thin. You can now order the 10-track CD album in full colour gatefold digi-pak sleeve from our Mail Order page for delivery across the world (excluding Nordics & Greenland). 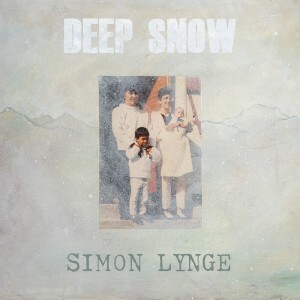 This entry was posted in News-Posts and tagged album, deep snow, simon lynge. Bookmark the permalink.